Strokesaver Course Guides serve some of the best golf clubs in the UK and Europe. Affluent ABC clientele play these courses as part of their lifestyle choice. A Strokesaver reflects the brand values of the club and inspires its users with topical editorial and imagery covering a range of club features. A Strokesaver provides an excellent platform for a range of lifestyle advertisers to connect with the quality golfing consumer. Our in-house publishing team produces 150 new Strokesaver Club editions and 600,000 copies every year. They are distributed to a number of top golf courses, many with an exclusive high spending clientele. The Strokesaver is renowned for being a bragging rights memento to take home to show your golfing pals. There are always a variety of Sponsorship opportunities available in the Strokesaver and all rates are net of any agency commissions and discounts. Every Edition distributed to the club is also published as an eBook on the club’s website. Any on-line golfer wishing to view the course clicks on the view link and is taken to the eBook. Averaging 23,000 hits per year, per edition, this is an inclusive feature for all Sponsors. QR Codes within a Strokesaver is the perfect technology marriage. These Interactive Strokesaver’s have the tech edge by pairing with golfers directly via smart phones and tablets. From simple messages and web links to videos and FLYThru animations – a sponsors dream. It's like an adrenaline fuelled Strokesaver. Watching Tour golf on TV with birds eye images over amazing terrain, makes the game look spectacular. A Strokesaver FLYThru of a golf course is a new feature, but growing in popularity amongst our clients. As with real tournament golf, they provide opportunities for simulated sponsorship banners located on all 18 tee boxes. 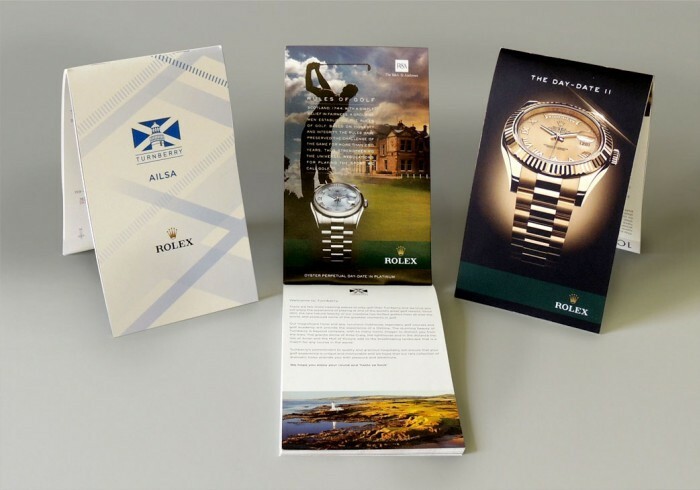 Advertisers with the desire to be part of this golfing lifestyle brand, ranging from high-end golf fashion, to golf equipment, luxury travel, cars and property.